Creating the right brandable customer service support business or adding to an existing brand could add value to any product. 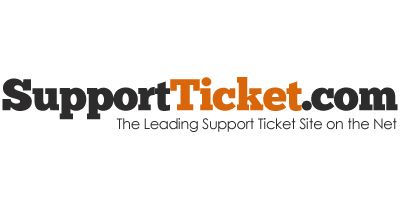 SupportTicket.com is simple to spell, easy to remember and can be applied to virtually any platform or any industry. These days customer support usually gets a bad rap, however if you have the solution with a fast, friendly, knowledgeable service vehicle, then your customers will be able to trust that their issues are being handled quickly and efficiently. With a domain like SupportTicket.com you can help strip away the layers of the unknown and keep visibility and accountability in your customers’ hands. Your logo can be designed to enhance your domain’s service potential should you decide to keep it a local service option or take it Worldwide.